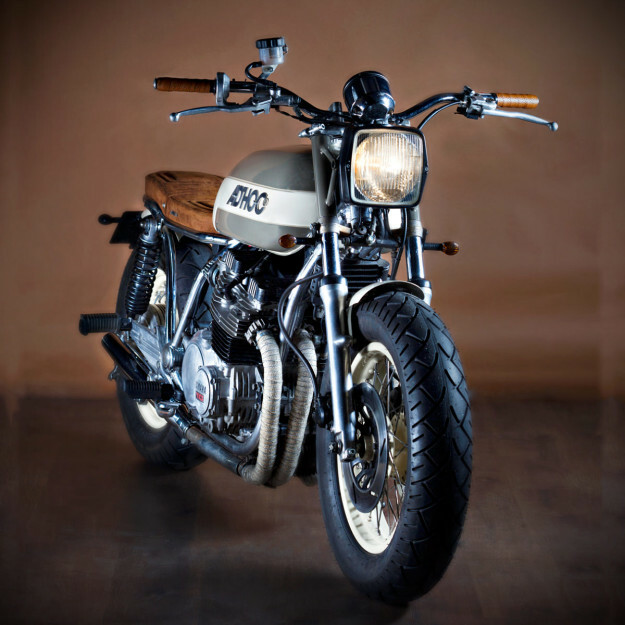 The sign of a truly skilled custom motorcycle builder is the ability to create something beautiful from inauspicious beginnings. I’m not saying that the shaft-drive Yamaha XJ650 is a sow’s ear, but it’s certainly not in the same aesthetic league as a Moto Guzzi Le Mans or BMW R100, say. Yamaha’s middleweight cruiser has not aged gracefully, and three decades on, looks positively ungainly. 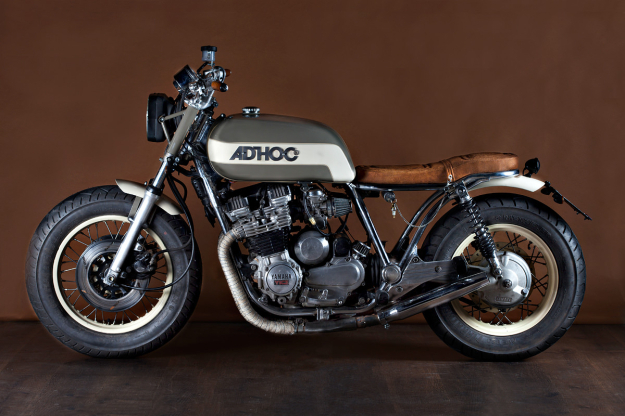 But this machine from David Gonzalez of Ad Hoc Café Racers has a chunky and strangely appealing style. It’s hardly lithe or sporting, but looks like a lot of fun. Since the bike was covered with dust and rust, Gonzalez was faced with a restoration job as well as a custom commission. “My idea was to make a long and low bike, with smaller wheels running Metzeler Marathon tires.” The 19-inch front wheel has been replaced with a 16-inch, and the stock rear 16-inch has dropped down to a 15. This also gave Gonzalez leeway to drop the front and rear suspension a few inches to improve the stance, without compromising ridability. The frame has been detabbed and reshaped at the back, and then sandblasted and finished in matte chrome. 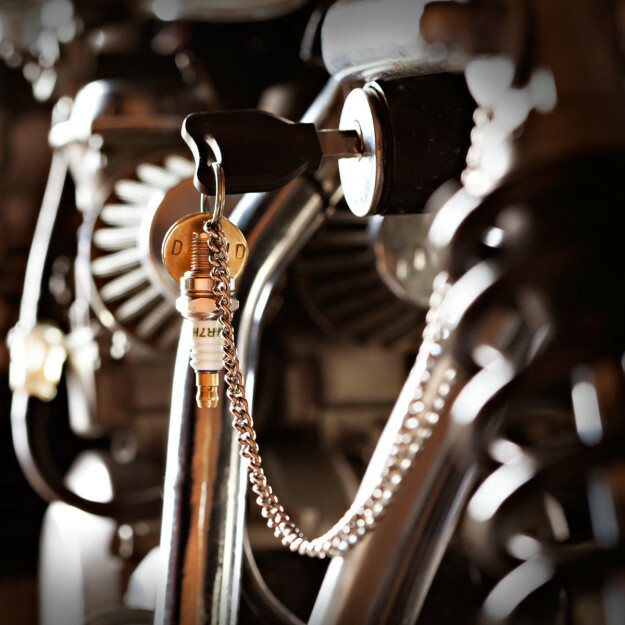 The 653 cc air-cooled motor was in reasonable shape; it required little more than a spruce-up for the Hitachi CV carburetors, and new pod filters for easier breathing. The tank has been modified to conceal a li-ion battery and a sizeable portion of the electrical loom, and the logos on the side are laser-cut steel rather than painted on. The square headlight is bang on trend right now, and the large speedo definitely is not—but looks right at home. 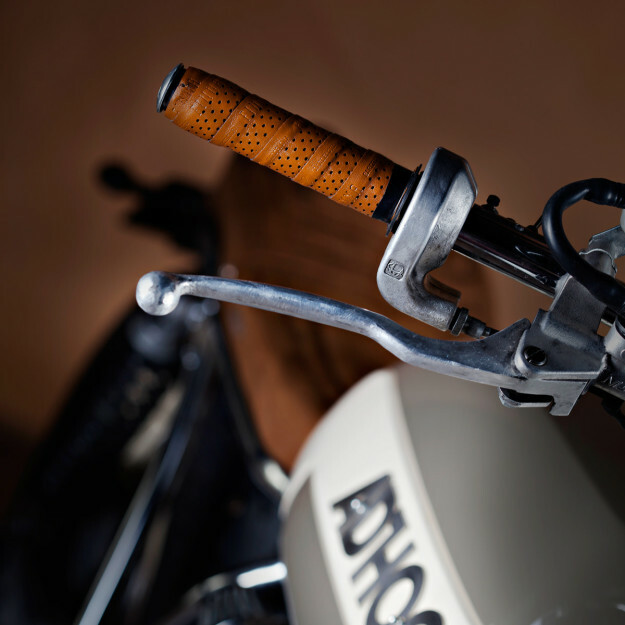 The bars and switches show typically neat Ad Hoc detailing, and the soft nappa leather seat has been stitched with seams replicating the classic Bultaco style. With muted green-and-cream paint on the tank, the seat is the brightest splash of color on the bike. It’s a quirky yet well balanced build. 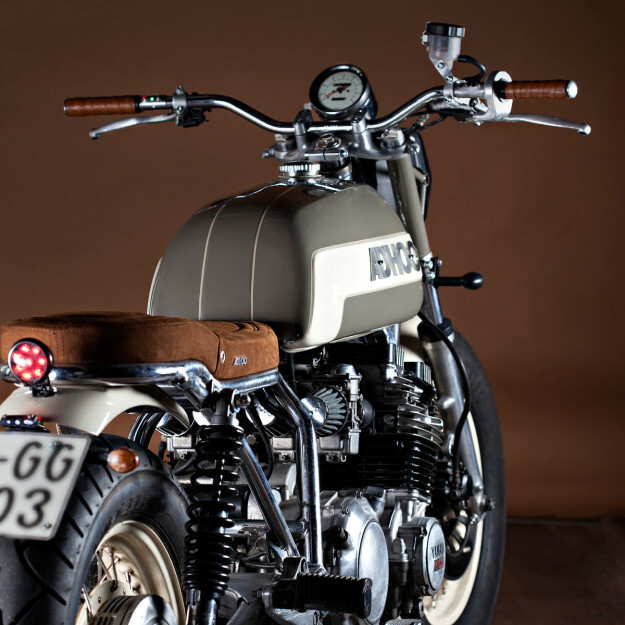 Top marks to Gonzalez for putting a unique spin on the prevailing retro custom style. 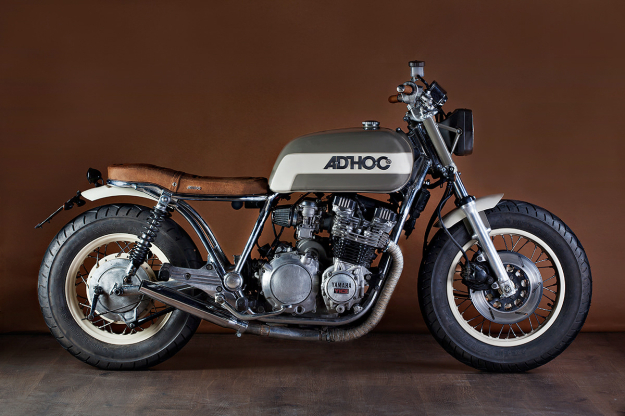 Head over to the very stylish Ad Hoc Cafe Racers website to see more of Gonzalez’ work, or or check out his previous builds in our Archives.